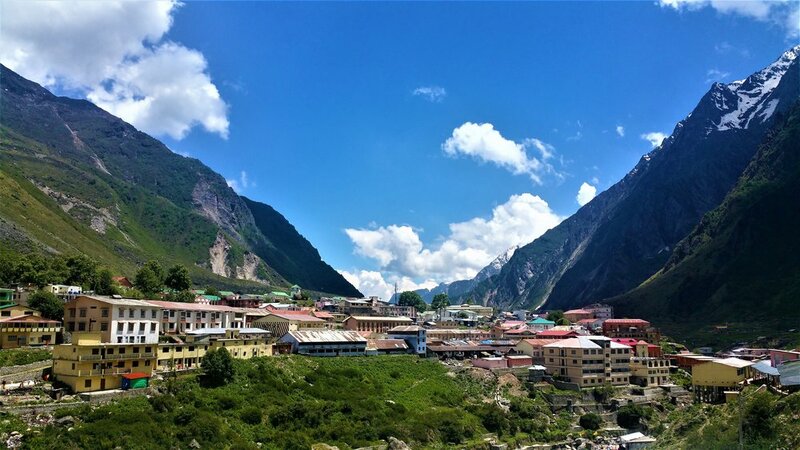 Read my detailed blog on Badrinath here. So, during my trip to Badrinath, I also visited the last village of India, Mana Village (mana gaon). 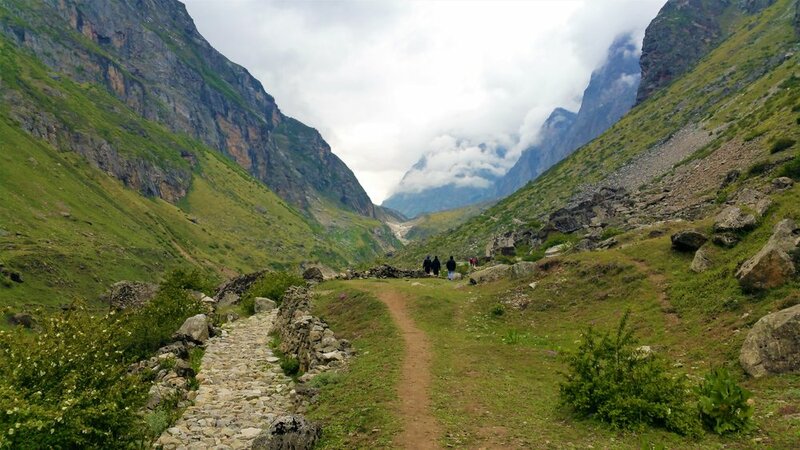 This village is 3km away from Badrinath located in the same district, Chamoli. This place has its roots connected with the religious history of India. There are two small caves located in Mana, named "Vyas gufa" and "Ganesh gufa". 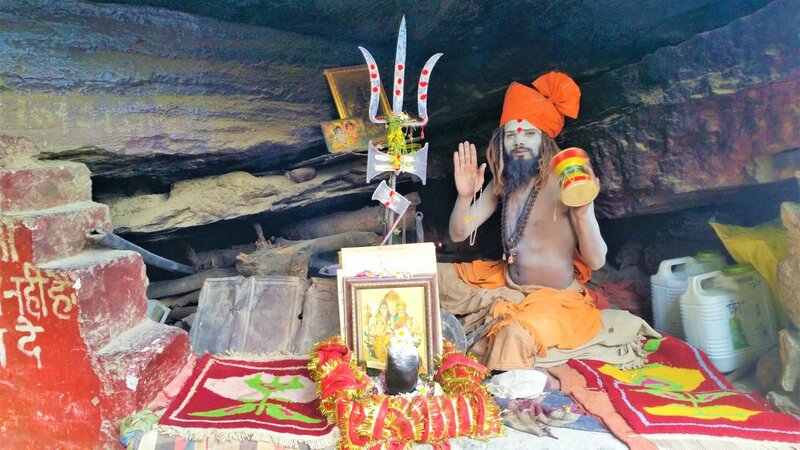 It is believed that "Maharshi Vyas" composed the Mahabharata in the cave and "Ganesha" wrote the Mahabharata in his cave. There is one interesting tourist spot known as “Bheem pool (Bridge)” which is connected with Mahabharata. The villagers believed that the “Panch Pandavas” choose this path to reach the heaven and could not cross the river “Saraswati”. So, Bheem put a large rock over the river connecting two parts of the hill which is now known as “Bheem pool”. Inhabitants of Mana Village are the last generation of 'Bhotia' community of Mongolian Tribes. 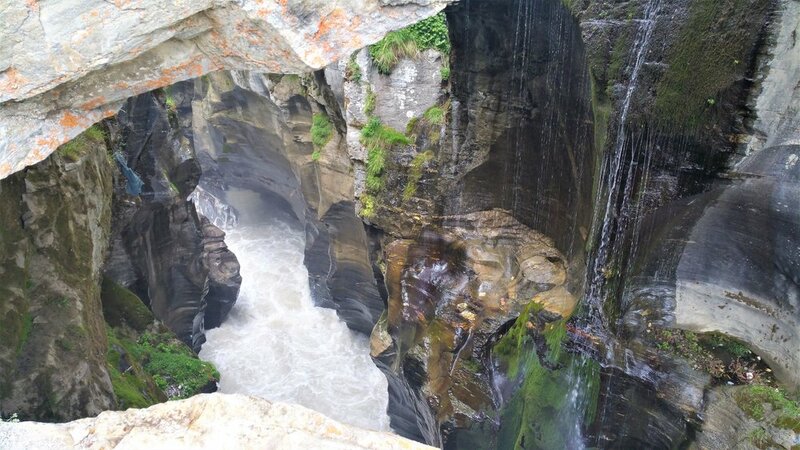 Vasudhara Falls is located on river "Alaknanda". The total distance from Badrinath to Vasudhara is 9 km. 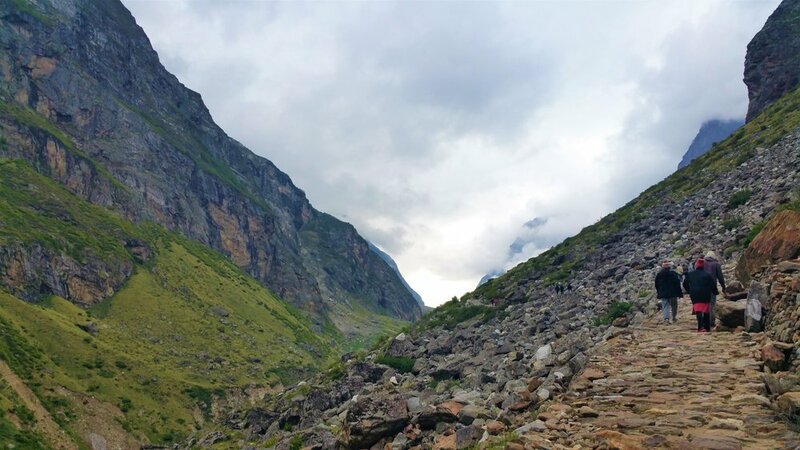 The first 3 kilometers of Badrinath to mana village is a drivable road. 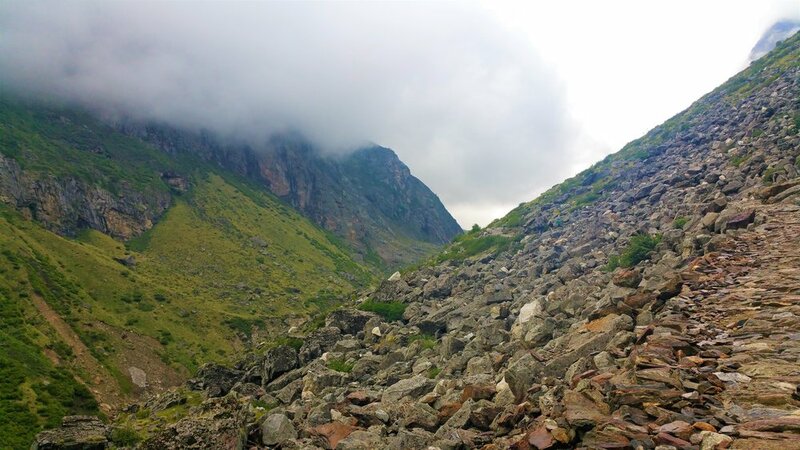 Next 6 km is a walkable trek from Mana village to Vasudhara waterfall. The height of this waterfall is 400 ft(122 mt). Trek is moderately difficult. We completed it in almost 6 hours. You get to see such beautiful scenic views en route. Sometimes all you can see is clouds. It may rain a few times while you are there, so carry an umbrella or keep a raincoat!